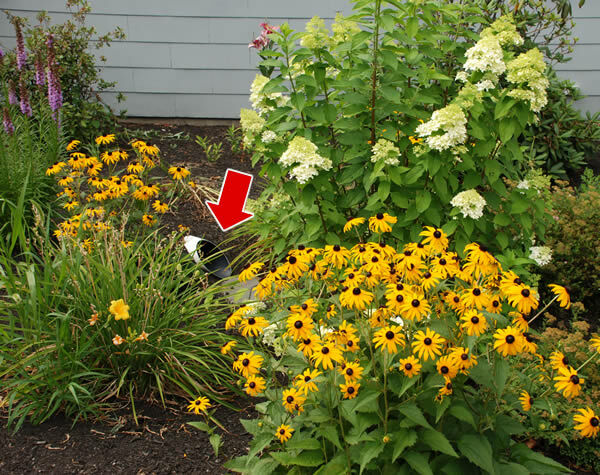 Reduce stormwater runoff by redirecting the rain that falls on your property toward shrubs, trees, a rain garden, or into a rain barrel. Redirecting downspouts onto a vegetated area such as a yard or garden slows water down and allows pollutants to be filtered out. Often, the volume of runoff will be reduced through infiltration. This can also help prevent downstream flooding and recharge groundwater. If runoff flows uninterrupted onto sidewalks and driveways, it could drain as much as 12 gallons of water per minute during a heavy rainfall. This stormwater can pick up pollutants such as motor oil and lawn chemicals on the way, carrying these pollutants to local lakes, ponds and wetlands. Specially designed areas planted with native plants, called rain gardens or grassy swales, can provide natural places for rainwater to collect and soak into the ground. Rain from rooftop areas or paved areas can be diverted into these areas rather than into storm drains. Areas of native grass or plants along roadways or streams trap the pollutants stormwater picks up as it flows across driveways and streets. Rain barrels collect water and store it for when you need it most — during periods of drought — to water indoor and outdoor plants, wash lawn furniture, garden tools, cars, and toys. It also provides an ample supply of free “soft water” to homeowners, containing no chlorine, lime or calcium, making it ideal for gardens and potted plants. A one-inch rainfall on a 1,000 square foot roof yields 562 gallons of water. 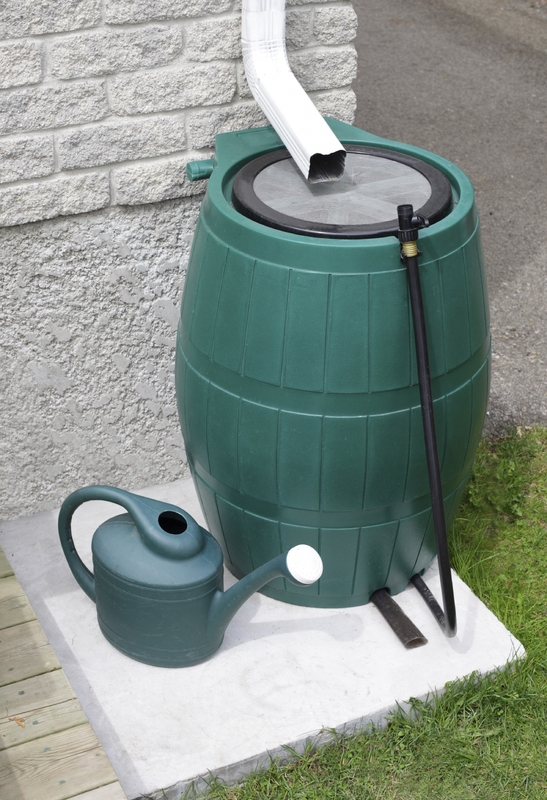 Runoff from a quarter inch of rainfall will easily fill a typical 65 gallon barrel. For more information on diverting rainwater, visit the EPA Soak Up the Rain Campaign.